In a trademark infringement and counterfeiting lawsuit, Manolo Blahnik is asking the court to transfer control of websites selling counterfeit Manolo Blahnik shoes and accessories and to freeze Defendants’ assets and bank accounts. The identities of the defendants and the websites are currently sealed to prevent advanced notice to the accused defendants, who may use the information to transfer or conceal assets. 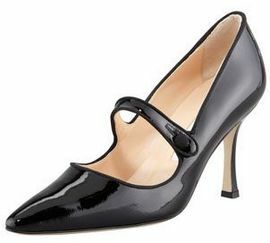 The complaint alleges that Defendants create internet stores by the hundreds and design them to appear to be selling genuine products, while actually selling low-quality counterfeit Manolo Blahnik products to unknowing consumers. “Internet websites like the Defendant Internet Stores are estimated to receive tens of millions of visits per year and to generate over $135 billion in annual online sales.” Manolo Blahnik claims it is forced to file these actions to combat Defendants’ counterfeiting of its numerous USPTO registered trademarks, as well as to protect unknowing consumers from purchasing counterfeit products over the Internet. (1) a temporary restraining order against Defendants temporarily enjoining the manufacture, importation, distribution, offer for sale and sale of Counterfeit Manolo Blahnik Products; (2) an order temporarily transferring Defendants’ Domain Names to Manolo Blahnik so they can be disabled; (3) an order temporarily restricting transfer of Defendants’ assets to preserve Manolo Blahnik’s rights to an equitable accounting; (4) an order for expedited discovery allowing Manolo Blahnik to inspect and copy Defendants’ records relating to the manufacture, distribution, offer for sale and sale of Counterfeit Manolo Blahnik Products and Defendants’ financial accounts; and (5) an order allowing service by electronic mail and electronic publication at the Defendant Domain Names. In a complaint that should have been written by quill on a wax-sealed scroll instead of pleading paper, Baron Philippe de Rothschild S.A. and Société Civile du Château Lafite Rothschild (you may now bow or curtsey), companies owned by the Rothschild Family (whose ancestors were ennobled by European monarchies), are suing an alleged commoner, Judson Rothschild, for trademark infringement and cybersquatting for using the surname and Coat of Arms to hock furniture and interior design services to both noblemen and commoners alike. As full disclosure, I am not ennobled by European monarchies. Instead, my father enjoyed reading Shakespeare, thus the name: Milord. Plaintiffs allege that the family is engaged in numerous international businesses, including “two of the most famous wine enterprises in the world, and own the estates which produce the well-known ‘Chateau Mouton Rothschild’ and ‘Chateau Lafite Rothschild’ wines. These wines have become known as the finest of Bordeaux wines, and command a price appropriate to their quality.” Plaintiffs own several USPTO registered trademarks incorporating the surname, including Chateau Lafite-Rothschild, Chateau Mouton Rothschild, and Baron Philippe de Rothschild. “As a result of the activities of the plaintiffs and their predecessor entities, and the well-known history of the Rothschild Family, the Rothschild name has become well known in the United States and throughout the world in connection with luxury goods.” Plaintiffs also allege that “because of the association of the Rothschild Family and their enterprises with opulent decoration, there are numerous literary references to ‘the Rothschild style’ or ‘the style Rothschild.’ The term has become part of interior decorators’ language.” Further, plaintiffs contend that the family’s coat-of-arms is famously associated with the Rothschild name and has developed secondary meaning in connection with products denoting luxury and comfort. Santa Ana, CA – This case should serve as a warning to all domain name owners: TIMELY RENEW YOUR DOMAIN NAME REGISTRATION AND DON’T LET IT LAPSE! The Valaskantjis family trust, owner of the Tom’s Famous Family Restaurants since 1968, unfortunately allowed its domain name registration to lapse without timely renewal. The domain name, www.tomsfamousfamilyrestaurants.com, was then allegedly registered by defendant Katz Global Media, LLC. Katz is accused of establishing a website using Tom’s trademarks and copyrights to publish false reports regarding Tom’s use of illegal alien labor to operate its restaurants. The website also claims that plaintiffs don’t pay the required taxes or workers compensation insurance. Further, Defendant is accused of soliciting the public to report plaintiffs to the IRS and Customs and Immigration Enforcement. On top of the problems created by the new website, Plaintiffs have also allowed their trademark registration to lapse: see here. It appears that the defendant has researched First Amendment and fair use defenses. Courts have previously found for plaintiffs in bad faith registrations of lapsed domain names where the subsequent registrant attempted to sell the domain back to the prior registrant. See BroadBridge Media, L.L.C. v. Hypercd.com, 106 F. Supp. 2d 505, 511-512 (S.D.N.Y. 2000). In this case, however, it appears that a sophisticated defendant is using the domain name for what appears to be protected speech. It will be interesting to see how this case unfolds. Las Vegas, NV – Shaquille O’Neal has had numerous nicknames throughout his NBA basketball career. But his SHAQTUS nickname, which he assumed when he was traded to the Phoenix Suns in 2008, has become the prickly subject of a trademark infringement, cybersquatting, and right of publicity lawsuit. O’Neal has exclusively licensed his “Shaq” trademarks and his name, image, and likeness to his Mine O’Mine, Inc. corporation – the Plaintiff in the case. Michael Calmese, Dan Mortensen, and their True Fan Logo, Inc. are the named defendants. On the day that Shaquille was traded to Phoenix, Mortensen registered the domain name and, shortly thereafter, the domain name. 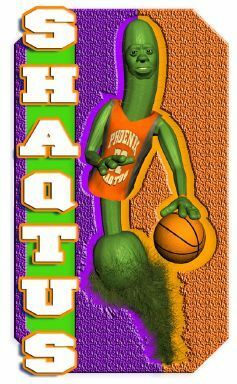 Defendants’ website features a cactus character that allegedly has O’Neal’s facial features and wears an orange number 32 basketball jersey – Shaq’s number with the Suns. 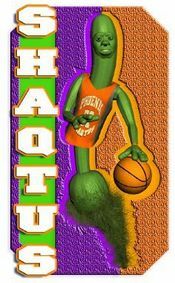 Defendants sell clothing and other products bearing the SHAQTUS trademark and/or the character. In 2008 and 2009, ESPN aired commercials featuring O’Neal and a cactus with O’Neal’s facial features. On December 4, 2009, Defendant Calmese allegedly sent a letter to ESPN claiming ownership of the SHAQTUS trademark and proposing a joint-development business arrangement to resolve the dispute. On December 29, 2009, Plaintiff’s counsel sent a cease and desist letter to Defendants demanding the transfer of the domain names. On January 4, 2010, Defendant Calmese responded and allegedly claimed that O’Neal consented to his use of the SHAQTUS mark when O’Neal agreed to take a picture with Calmese and autograph a T-shirt. Los Angeles, CA – Trademark attorneys for Kirby Morgan Dive Systems, Inc. filed a trademark infringement, Lanham Act § 43(a) unfair competition, and anti-cybersquatting lawsuit at the Federal District Court in Los Angeles against Universal Scuba Distributors. Click Here To Read The Complaint. Kirby Morgan sells diving equipment including helmets, full face masks, and air control systems under its USPTO registered Kirby Morgan® and Kirby Morgan Dive Systems, Inc.® trademarks. In addition, Kirby Morgan owns five trademark registrations for the designs of its dive helmets. Kirby Morgan has also registered the www.kirbymorgan.com domain name, where its Website is located. 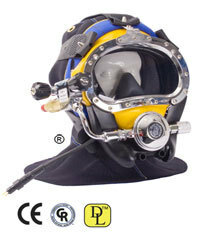 The Plaintiff alleges that Universal Scuba Distributors registered the domain name www.kirbymorgandivers.com and used images of Kirby Morgan’s registered helmets, which pictures also included the Kirby Morgan® word mark. Defendant’s “webpage then automatically resolves and/or has links to Universal Distributors’ other website at www.universaldistributors.us where it sells dive products. On [that website], Universal Distributors uses another image of Kirby Morgan’s registered helmet designs under a link to ‘commercial’ products.” The case is titled Kirby Morgan Dive Systems, Inc. v. Universal Scuba Distributors, CV 08-08258 JSL (C.D. Cal. 2008). Los Angeles, CA – Attorneys for Solid Host filed a cyberpiracy, 15 U.S.C. § 1125(d), and computer fraud and abuse act, 18 U.S.C. § 1030, complaint at the Federal District Court in Los Angeles over alleged hijacking of its solidhost.com domain name. Ironically, Solid Host is a webhosting service that provides server space to its clients and hosts their websites in addition to the clients’ email servers. Plaintiff registered the solidhost.com domain name in 2004 and has continuously used it, without any interest in abandoning it. The complaint alleges that on August 4, 2008, due to a security breach at Solid Host’s registrar, eNom, its account was compromised and an unidentified hacker, sued as John Doe, gained access to Solid Host’s account and stole the domain. The hacker allegedly then created his own webpage and offered to sell the domain back to Plaintiff and other parties. Whois Guard is also named as a defendant because it provides private registration of domain names and safeguards the registrant’s identity. When Plaintiff discovered the transfer of the domain name, it demanded that the registrar Demand Media, owner of eNom, return the registration to Plaintiff. When the registrar allegedly refused to do so without a court order, Plaintiff named it as a co-defendant in the instant lawsuit because it was negligent in allowing the security breach and not providing notice to the Plaintiff of the pending transfer. Unfortunately for Plaintiff, the alleged hacker now also has full control of Plaintiff’s email accounts. The case is titled Solid Host, NL v. NameCheap, et al., CV08-05414 MMM (C.D. Cal. 2008). Los Angeles, CA – Trademark attorneys for E! Entertainment Television filed a trademark infringement, cybersquatting, and Lanham Act § 43(a) unfair competition (15 U.S.C. § 1125) complaint at the Federal District Court in Los Angeles, over entertainment/celebrity news blogger’s use of the enewsbuzz.com domain name. The complaint provides a summary of E! Entertainment’s beginnings in 1990 as the only 24-hour network with programming dedicated to the world of entertainment and celebrity news. It currently “is the world’s largest producer and distributor of entertainment news and lifestyle-related programming.” E! alleges that “E! News” and “E! News Weekend” are its most popular television programs and both trademarks have been registered with the U.S. Patent & Trademark Office. E! alleges that long after it commenced use of its famous E! Marks and E! NEWS Marks, Defendants began business under the ENewsBuzz trademark using the enewsbuzz.com domain name to provide similar services, “Defendants use the ENEWSBUZZ mark, trade name, and domain names in connection with providing gossip, news and images of Hollywood celebrities.” Defendants are alleged to have adopted the confusingly similar mark in order to benefit from the goodwill established by E! : “significantly, Defendants’ ENEWSBUZZ mark is depicted on its website with the letter “E” offset in bold red – the same color that E! Entertainment has been using in connection with the “E!” portion of its E! Marks and E! NEWS Marks for many years.” The lawsuit was filed after the Defendants refused to cease using the subject trademark and domain name in response to E!’s correspondence. In addition to preliminary and permanent injunctions, E! also seeks monetary damages. The case is titled E! Entertainment Television, Inc. v. Louie De Filippis et al., CV 08-04355 ODW (C.D. Cal. 2008). The complaint continues, “Defendant is the registrant of the Internet domain name buys.com [with an additional “s”]. Defendant uses the buys.com website to profit from the Buy.com trademarks. Specifically, Defendant’s buys.com website contains numerous advertisements for and/or hyperlinks to a variety of products and services that compete directly with Plaintiff, such as eBay and Dell. 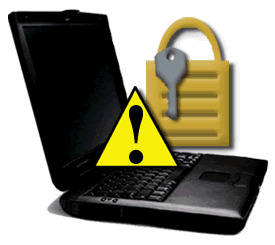 Upon information and belief, Defendant receives a payment when Internet users click on one or more links or advertisements on the buys.com website . . . By using the buys.com domain name that is confusingly similar to Plaintiff’s trademarks Defendant was and is creating, or attempting to create, an association between the buys.com domain name and Plaintiff, and has frustrated or diverted Internet traffic intended for Plaintiff.” The complaint asserts the following causes of action: (1) Federal trademark infringement under 15 U.S.C. § 1114; (2) False designation of origin and unfair competition under section 43(a) of the Lanham Act, 15 U.S.C. § 1125(a); (3) Cybersquatting under the Lanham Act, 15 U.S.C. § 1125(d); (4) California common law unfair competition; (5) Unfair competition under California Bus. & Prof. Code § 17200; (6) Common law unfair competition; and (7) Declaratory Judgment under 28 U.S.C. §2201. The case is titled: Buy.com, Inc. v. Webmagic Ventures, LLC, SACV08-00510 JVS (C.D. Cal. 2008). Trademark litigation, including Anti-Cybersquatting Consumer Protection Act violations and Section 17200 unfair competition, was filed by Beverly Hills based Hollywood Network, Inc. against its former independent contractor of ten years, Chris Davies. Hollywood Network alleges that Davies was intimately involved in Plaintiff’s annual Hollywood Film Festival and Hollywood Awards gala celebration. Plaintiff is a licensee of numerous trademarks registered with the USPTO, including Hollywood Film Festival, Hollywood Awards, and Hollywood Movie Awards. Plaintiffs also own numerous domain names that incorporate their trademarks. Plaintiffs allege that Defendant Davies registered the “awardshollywood.com” and “hollywoodmobileawards.com” domain name using a fictitious pseudonym or dba. Plaintiffs alleged that they made a good-faith attempt to resolve the dispute by having the domain names transferred voluntarily. However, Defendant offered to sell the disputed domain names to Plaintiffs. Plaintiffs thus filed the instant complaint alleging cybersquatting under 15 U.S.C. § 1125(d), requesting statutory damages under 15 U.S.C. § 1117(d) in an amount not less than $1,000.00 and not more than $100,000.00 per domain name. Also, Plaintiffs allege infringement of USPTO registered trademarks under 15 U.S.C. 1114(1) and False Designation of Origin under 15 U.S.C. § 1125(a). Further, Plaintiffs allege California Common Law Trademark Infringement and unfair competition under Business and Professions Code § 17200. The case is titled Hollywood Network, Inc. v. Chris Davies, CV08-01035 (CD CA 2008).